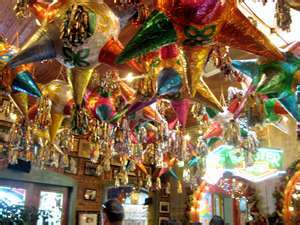 Every day should be a fiesta! Am I right, folks? Would it be so bad to wake up and find your living room sparkling from top to bottom with shiny banners and glittering flowers, all lighted up with tiny (or giant) Christmas lights? That’s just *another* one of many things I love about the Mexican influence, as one finds in these two far-flung locations: Mi Tierra Restaurant and Panaderia, in the Mercado in San Antonio TX; or off the plaza in Santa Fe, New Mexico. Yes, I can see bedazzling my home like this… but I have a feeling we all might get headaches from the sheer joy of straining our necks looking up all day. So, I will settle for visiting these spaces when I get the time to travel there. sigh…. 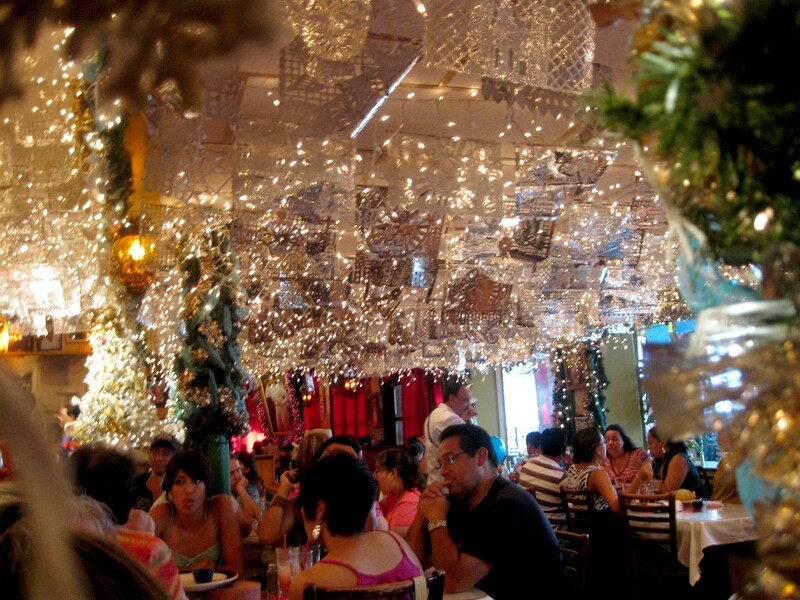 And these white lights glimmer among golden banners to create a glow that lights up the faces of diners. Is this just joyful and lovely? Why not swath your front door in a colorful blanket flowing out of glitter-dusted fake flowers, metalic stars, and sky-blue ostrich feathers? I mean, I guess the real question is… why not? And then, there is a long passel of old hand-decorated Christmas balls that sent me over the top in a candy store in Santa Fe. 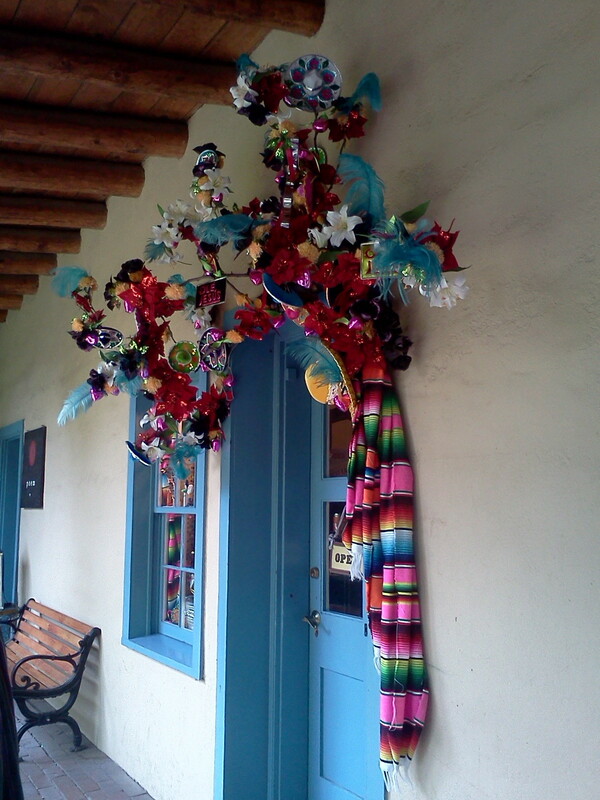 Apparently, much like Mi Tierra, this place stays festive all the year long. That might explain why the balls look a bit dusty and worse for wear, but you can see that they were lovingly crafted a good many years ago and therefore make me happy. Am I now inspired to do some Christmas crafting? Probably! !